Provider of software products and services for the online gaming and sports betting industry, BtoBet, has conquered new frontiers as their agreement with Wilder Gaming has come to fruition. Through this alliance, the company will make its mark in Latin America – including its key markets, Brazil and Argentina’s capital, Buenos Aires. BtoBet’s White Label Partnership Program will spring to life on this continent’s emerging markets as well, such as Peru, Colombia and Uruguay. The news comes almost exactly one year after the brand’s ascent in Mexico with local operator, Logrand. which owns fourteen gaming facilities in Central America’s biggest country. …supplier’s CEO, Alessandro Fried, says that the first thing in order would be to identify new customers in this vast region. As more Latin American countries are in the process of regulating their gaming markets, BtoBet will be waiting until opportunity arises for working with more partners across the continent, Fried reveals. He also hinted at numerous new iGaming and sportsbook products and services about to be unveiled – building up on firm’s global expansion strategy. At the present moment, BtoBet is securing more partnership deals in various world markets and they will be revealed in due time, over the coming months. In November of last year, the company came out as the winner in Innovation of the Year category at Balkan Entertainment and Gaming Expo ceremony held in Bulgaria’s capital Sofia. Cutting-edge technology deployed into the making of Neuron Sports and Gaming platform is deemed a pivotal moment that also won them the Software of the Year accolade at Starlet Awards. 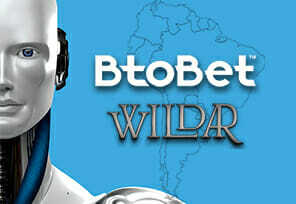 “BtoBet targets Latin America with Wildar Gaming”, igamingbusiness.com, February 7, 2019.